A fun spin on serious cosmic stuff! 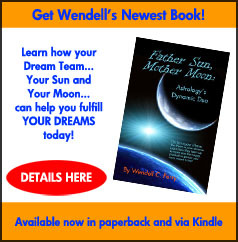 Wendell C. Perry has 40 years experience studying astrology and how it impacts personalities & relationships. He's written two books & published articles in astrology magazines. He's happy to share this website so that you, too, can have fun with astrology to help you in everyday life! Where Was Mars at Your Birth? This chart shows you! Become a registered user and have access to occasional astrology newsletters. Depending on system server capacity, you will receive a confirmation email within two hours. 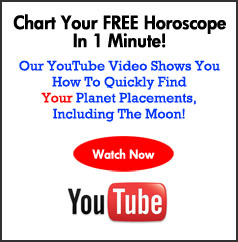 Just "click" on the activation link in the email to become a registered user at Good Golly Astrology. Thanks! Despite the fervent hopes of a lot of people, it appears that Donald Trump has made through 2017 with his battered presidency intact. He survived the August eclipse on his Ascendant and hard aspects by Saturn to his Sun and Moon and finished the year by pushing through a tax plan that reads like a Republican letter to Santa. Of course, he has also experience several setbacks and his approval ratings are the lowest of any U.S. president in modern times, but he will nonetheless begin 2018 as President of the United States. Now the question becomes: will he survive 2018? There are reasons to think that he won’t, the Mueller investigation being primary. Rumor has it that there are a lot of nervous people in the White House right now, and that one of them in the President. However, Trump and Fox News are currently executing a relentless campaign to discredit Mueller, his investigation and the entire F.B.I. This could give Republicans in Congress an excuse to disregard even the most damning evidence against the President. In a previous article I pointed out that Trump’s secondary progressed Venus was currently aligned with his natal Jupiter and trine his natal Uranus. (Click here to see the article.) I felt that this aspect was going to bring good fortune to the President. Jupiter trine Uranus is a “lucky” aspect and it has translated into luck for Donald Trump for many years now. His business career has been fraught with failures and bankruptcies and yet he has emerged from it all, not just unscathed, but victorious. This aspect by his secondary progressed Venus will further highlight Trump’s good fortune and make his survival in 2018 and beyond more likely. However, there are some transiting aspects influencing Trump next year that are not so positive. Chief among them is the opposition of his natal Mercury by transiting Saturn. This transit will be within a degree in March, April, and May of 2018 and then again in Dec. Saturn aspects to Mercury are rarely life-changing passages, but they do indicate periods in which bad news and bad ideas are likely. Saturn limits the range of Mercury’s thinking and stymies the planet’s problem solving ability. 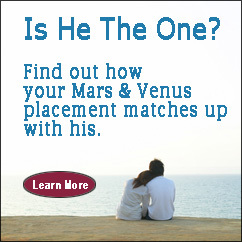 For a Gemini who prides himself as a deal-maker, this could be a particularly debilitating aspect. Another thing that Saturn oppose Mercury can do is force us into decisions that we do not want to make, decisions that may be dictated by circumstance or by our obligations to other people but which do not serve our own interests. I think that the spring of 2018 is going to be a difficult time for Donald Trump, a time when he going to feel that his options are limited and that he is being intellectually forced into a corner. Given Trump’s aggressive, free-swinging personality, it hard to imagine him gracefully accepting such a limiting position. He's going to fight back. However, Saturn represents the rules, the law and all things practical and necessary. Angry tweets don’t faze Saturn. Saturn can also represent the natural depredations of age, which is an argument that no one wins. So, essentially, we have two competing astrological factors, one indicating unusual good fortune and the other signaling a period of intellectual confinements. However, astrology is not a contest. In the end both of these factors will find their way into Donald Trump’s life, and they might even turn out to pulling him in the same direction. Copyright © 2019 Good Golly Astrology. All Rights Reserved. Good Golly Astrology is for entertainment purposes only.